Please let it be true! 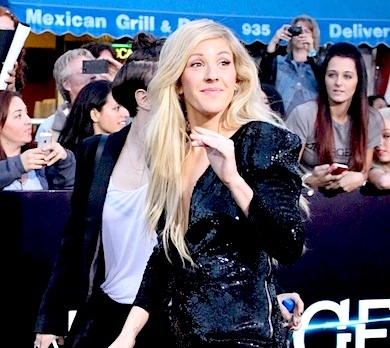 Adorable British songstress Ellie Goulding might just be a judge on X Factor alongside Simon Cowell (returning to the original British version for the first time in three years) and Cheryl Cole (also after a lengthy absence). Longtime third judge Louis Walsh told The Sun that he’s “heard” that Goulding is a contender, though other Sun sources remind us that Walsh is not at all involved in who ultimately snags the gig. Goulding, who has been busy touring for Halcyon and its expansion, Halcyon Days, has become the go-to girl for recording new songs for big budget, teen box office favorites like Twilight (“Bittersweet”), The Hunger Games (“Mirror”), AND Divergent (“Beating Heart”). Today it was announced that Britney Spears removed herself from The X Factor before Simon Cowell canned her and her cans for delivering the wrong kind of crazy. As much as I love her I don’t think I’ll miss the polite clapping and three or four-word comments like “I really enjoyed it” or “You’re a diva!” (in a positive context). On part one of The X Factor finale last night, the remaining three contestants were joined by their sort-of idols. 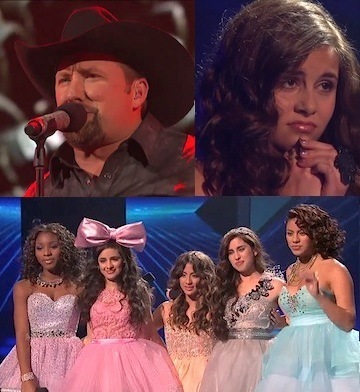 Tate Stevens and his dimples got Little Big Town, Simon’s group, Fifth Harmony, were paired with readily available Demi Lovato for “Give Your Heart A Break,” and little Carly Rose Sonenclar was gifted the bag of crazy known as LeAnn Rimes. The X Factor results show was last night and the three finalists are unlistenable country singer Tate Stevens, Fifth Harmony and Carly Rose Sonenclar. 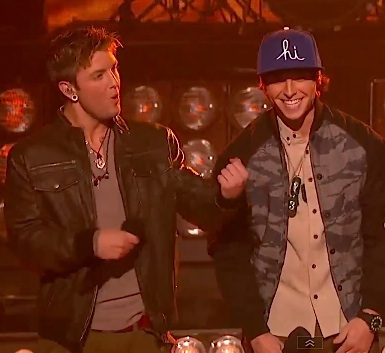 Three-surfers-with-three-brain-cells Emblem3 were finally sent home after hanging Beatles’ favorite “Hey Jude” from the rafters and beating it with a bag full of antique railroad spikes. As a viewer of both The Voice and X Factor, I can effectively say that it’s easy to find flaws in the format, especially when the contestants can’t sing. This applies to one of mentor Simon Cowell’s two remaining X Factor groups, hideous vocal trio Emblem3. 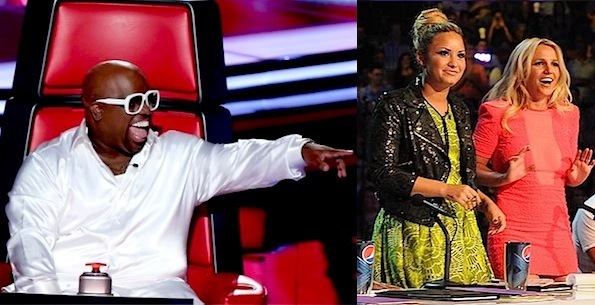 The judges on The Voice would NEVER turn their chairs for these no-talent, Good Charlotte-sounding douche factories. There’s no other description besides: DUBSTEP. Yep, Dubstep Patti. Demi Lovato decided to transform her team for the live shows turning brown-haired, leopard spot appliqué-loving CeCe into a blonde “if Ke$ha was hot” bombshell. Britney just can’t escape her past. Like fatty skin rising from chicken broth, new allegations from her 2008 melt down surfaces. In new court reports, the X Factor judge’s former manager and ingrown pubic hair Sam Lufti claims he tried to rescue the pop star from drugs, saying she was addicted to crystal meth and took 30 prescription pills when she was put on an involuntary psychiatric hold. These allegations hit the tabloids this week because Lufti is suing Britney Spears and her family for defamation and breach of contract. 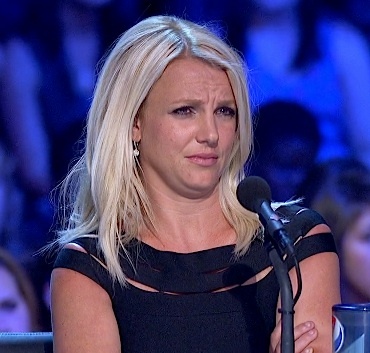 Everyone must have noticed the look of fear and distaste Britney Spears permanently has plastered on her face during her judging stint on season two of The X Factor. After five episodes of close examination, I’ve determined that the faces mean nothing, it’s just her way of coping with being on TV. Granted, when children or teenagers announce themselves onstage, she lights up like a well-carved jack-o’-lantern. Is 'Bad' Jimmy Butler the best Jimmy Butler for the Sixers? Who is Jenny of Oldstones and Why Did Pod Sing About Her?